The Marlin is a fish that is famous for its elongate body, its long rigid dorsal fin which almost forms a crest, and its spear-like bill. Its common name is thought to be derived from a sailor’s marlinspike. 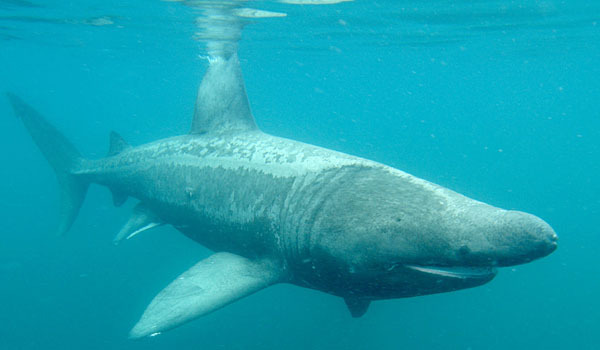 These animals are very fast swimmers which reach speeds of up to 110 km per hour. A big catch of the day! Marlins are perciform fish and are closely related to swordfish. There are 3 genus within this family, and they are Istiophorus, Makaira, and Tetrapturus. 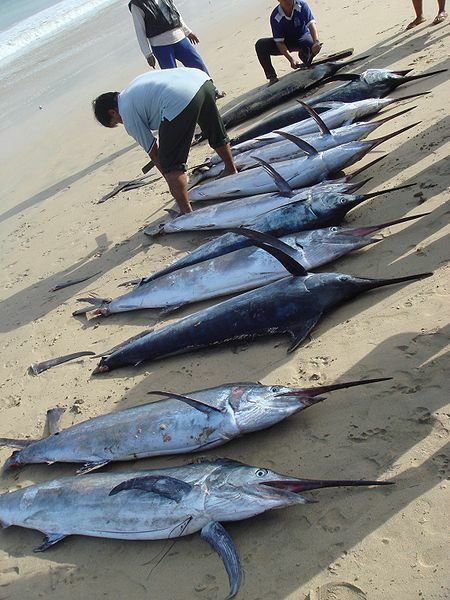 These include the Atlantic sailfish, Black marlin, Atlantic blue marlin, and more. The largest species include the Atlantic blue marlin which can actually reach up to almost 6 metres long and weigh 818 kg. The Black Marlin can also reach lengths of over 5 metres long and weigh 670 kg. 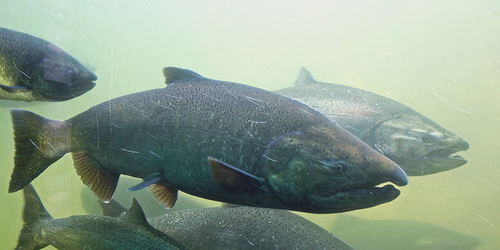 They are popular as sporting fish in tropical areas. Marlin is not really table fare as they will mostly appear only in fine dining restaurants. 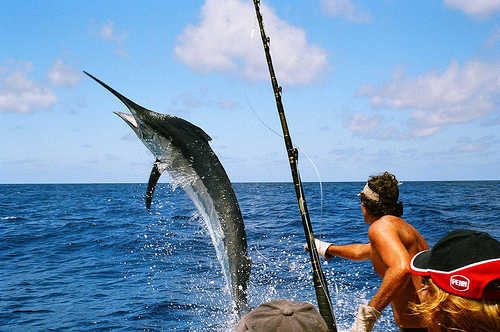 Most modern sports or game fishermen will release marlin after unhooking them. In Ernest Hemingway’s novella, The Old Man and the Sea, a fisherman is described as having caught a 5.5 metre long marlin to sell its meat. The current record in the IGFA World Record Game Fish book is a marlin, and this record has stood for 20 years. Greenpeace International added the Indo-Pacific blue marlin, black marlin, Atlantic blue marlin, white marlin, and the striped marlin to its seafood red list in 2010. This is because Greenpeace International feels that these fish which are commonly sold in supermarkets globally have a high risk of being sourced from unsustainable fisheries.